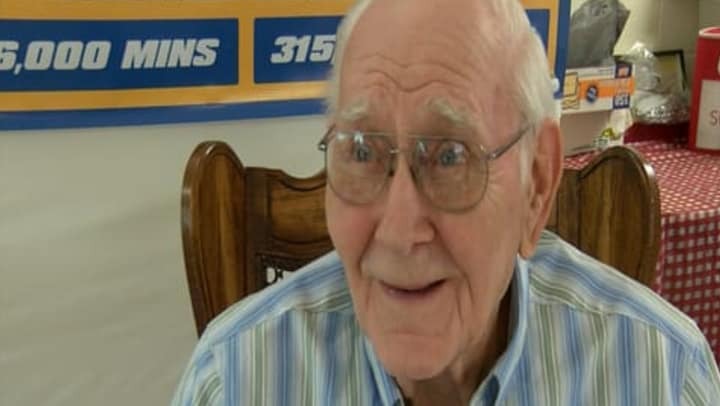 A Sioux City man celebrated a milestone birthday of one hundred years old today. Surrounded by friends and family, Wilbur Hof, a former ABC9 Audio and Visual Technician celebrated his very special day. Family members came from far and wide to celebrate with the centenarian arriving from Illinois, Colorado, Florida, and Kansas City. When asked what the secret was to living a long and happy life, Hof said hard work...and a little play. "Oh I don't know, I did a lot of golf years ago and I did a lot of fishing years ago," says Wilbur Hof, birthday boy. Wilbur worked for ABC9 for 21 years. From the ABC9 family, we wish you a very happy birthday Wilbur Hof!